Welcome to A2D2 Cirque Centre where we are committed to quality teaching that is safe, fun and inspiring!!! Cirque Centre offers training for Kids, Teens and Adults at every level. Whether you want to do circus as an extra-curricular activity, or train to be part of our professional team, Cirque Centre is the space for you! 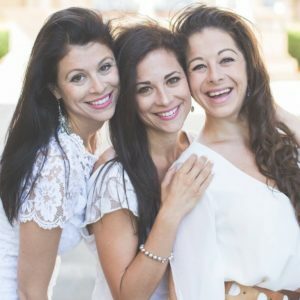 Cirque Centre was proudly founded by sisters, Julie, Elisa & Samantha DeAngelis. Their boutique studio accommodates class sizes of approximately 6 students or less, giving students the BEST training available. A2D2 Cirque Centre also has a custom syllabus that has been developed over decades of working in the field. All students will be walked through our level systems so that they can build solid strength, technique and a vocabulary in the circus arts. A2D2 Cirque Centre has a variety of circus programs including aerial hoop, silks, & trapeze, acrobatics, ground creations and strength & stretch. For advanced level students we also provide professional level workshops in a variety of circus disciplines. New to the Cirque Centre curriculum is our dance program! All teachers at Cirque Centre have extensive backgrounds in various forms of dance. Whether you are a kinder student taking our tiny tots ballet class or an adult indulging in our hip hop dance class, we have something for you! Cirque Centre’s Intensive Training Program (ITP) is a multi-disciplinary program designed for students who are looking to join Cirque Centre’s competitive program and develop their performance skills. ITP students will be exposed to several ground and aerial apparatus as well as partake in technique and conditioning classes.